When first learning about database development, and how to store large files such as media, archives and documents, I was introduced to the concept of a BLOB (Binary Large OBject). At that time, I wasn't using FileMaker Pro as of yet but a database called FoxPro. 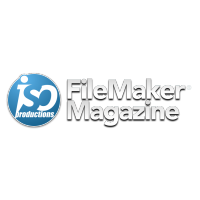 The concept of FileMaker's Container fields, as places to store BLOBs, came so much easier than having to convert a file into another format which can be stored within a SQL data store - which is what you have to do with some other database systems. In today's modern computing world you need to be familiar with how to encrypt things and how to transfer them between various services. This video will overview the Base64 encoding functions, the Crypt functions and all the other Container related functions. If you'd like to understand how and where the container functions will help you out with working with containers then you'll likely find what you need in this video.